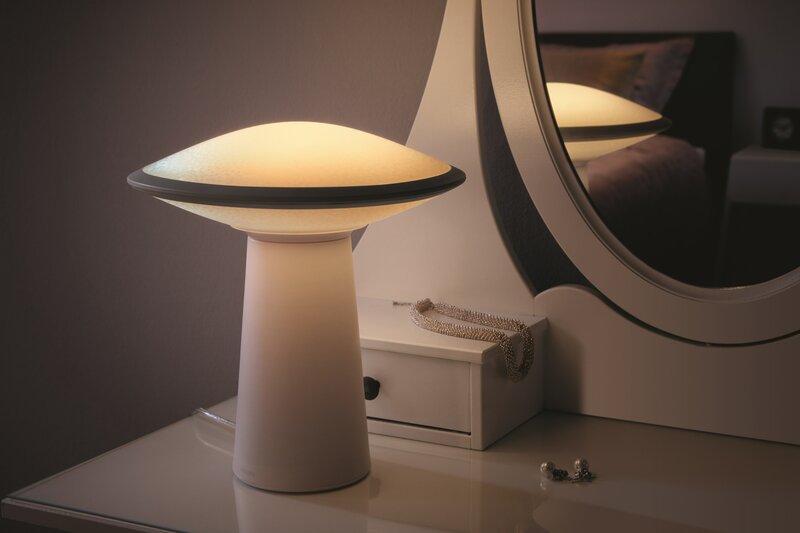 Amsterdam, The Netherlands – Philips Hue Phoenix from Royal Philips, the global leader in lighting, is the first in a new range of white ambience connected lamps that allow you to create the right light for different moments at home. From helping you to create a cozy atmosphere in the evening to energizing you before heading to the gym, Philips Hue Phoenix gives you access to the full spectrum of white light, at the swipe of a finger. With Philips Hue Phoenix you can instantly adapt the light to go from warm white light to create a calm atmosphere in your home to crisp white light, helping you to focus on a task at hand. Through the Philips Hue app, Philips Hue Phoenix can access pre-set white light recipes that help you concentrate, read, relax and feel energized, as well as over 200 third party apps. Unlocking the full spectrum of white light makes Philips Hue Phoenix ideal for any space in the home, particularly spaces that are used in many different ways. The stylish table light is ideal for a study area, the wall light is perfect to gently wake up to in the morning, the down lights are great in a hallway, the pendant light is well placed above a dining table, and the ceiling light works seamlessly in an open living room. Its unique look also adds a designer’s touch to your home. The small hexagonal cells that make up the outer shell sparkle and reflect light, effortlessly diffusing it across a room. 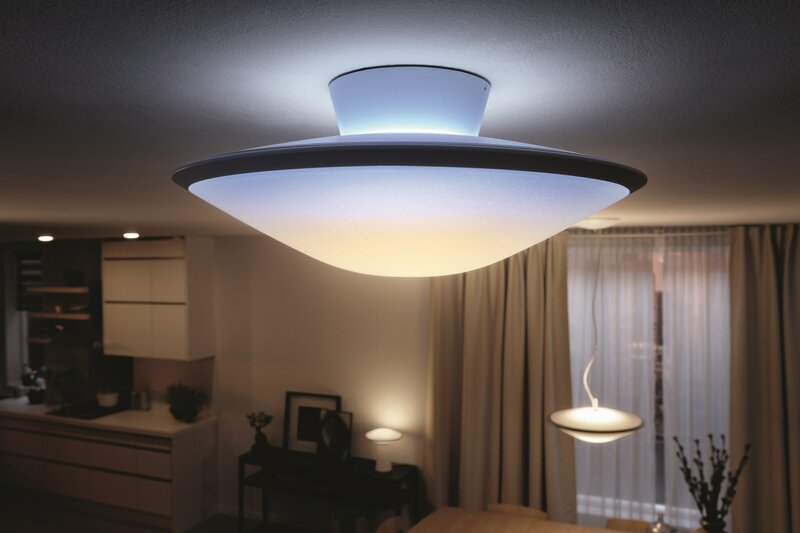 They also change appearance each time they’re seen from a different angle, turning Philips Hue Phoenix into a ‘live’ object that delivers an explosion of white light. 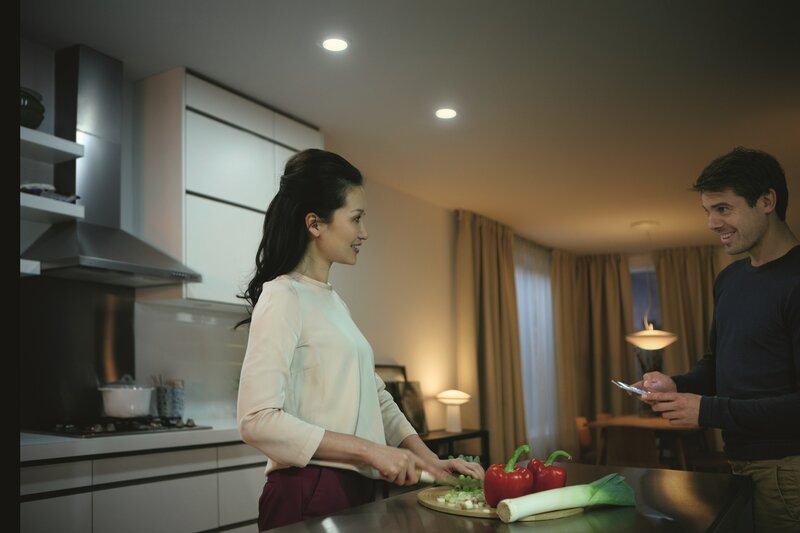 With access to all the connectivity features of Philips Hue, Philips Hue Phoenix delivers more than just high quality white light. As it’s connected, it can help with safety and security even when you’re away from home through programming the lights to switch on in the evening and off again at bedtime. You can also set-up discreet alerts for new emails or change in weather via a gentle ‘light notification’ for every connected light in your home. Philips Hue Phoenix works seamlessly with all Philips Hue and Friends of Hue products, easily integrating into an existing network. However setting up a new network is also very simple, just make sure the Philips Hue bridge is connected to your wireless network, then simply download the Philips Hue app to your smart device and set-up Philips Hue Phoenix. 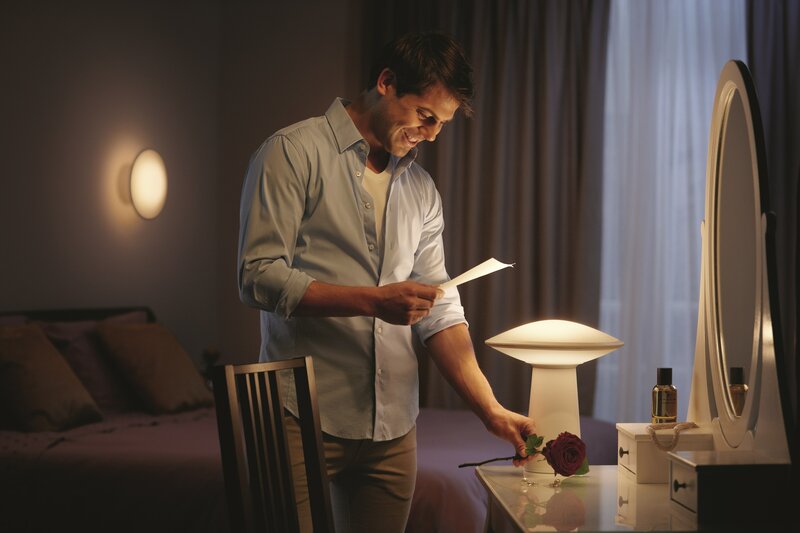 Philips Hue Phoenix is available as a ceiling light, pendant light, table light, wall light and down light in Europe from April 2015 and North America from May 2015.